The cross is so far reverting yesterday’s daily pullback and appears well supported in the now new contention area in the 125.00 neighbourhood. 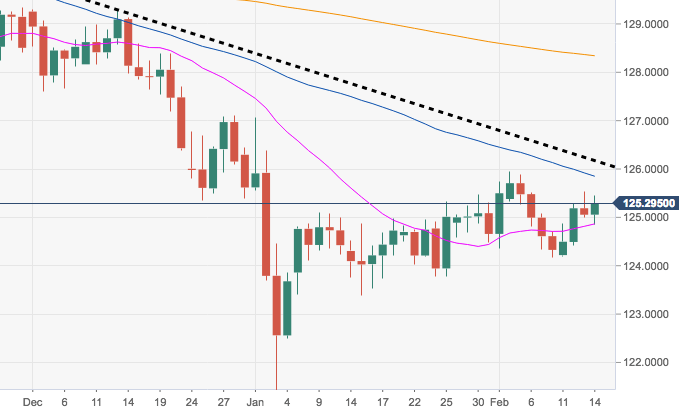 However, the negative stance on EUR/JPY is expected to remain in place as long as the short-term resistance line caps at 126.17. This area of resistance is reinforced by early February peaks around the 126.00 handle and the cross needs to clear it to allow for a more serious bullish attempt.